Blendon is located in the Borough of Bexley, west of Bexley village and south of Bexleyheath. The estate is approximately 11 miles south-east from London Bridge on the border of Kent and Greater London. Bladinton, Bladynton and Bladigdon all come from the Old English which means “the farm of the people who live by the dark water”. The Blendon Estate can be defined as a parcel of land bordered on the west by Penhill Road, on the north by Blendon Road, on the east by Elmwood Drive and on the south by the River Shuttle. The main feature on the estate was the Hall, a building dating from 1763 on the site of a former, much earlier building. It was a large country villa, often used as a country seat to which distinguished owners and tenants would ‘retire’ from their London home. The 88 acre estate was sold in 1929 to D. C. Bowyer for a housing development. 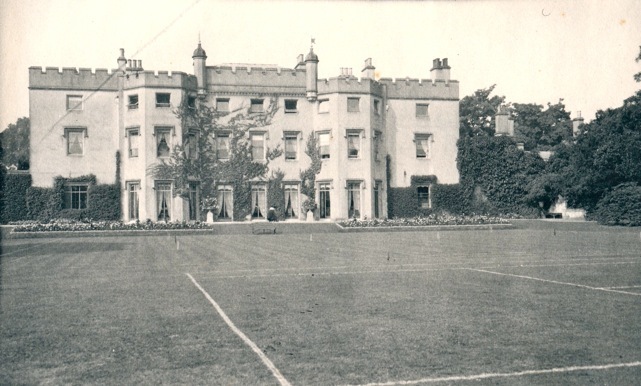 No-one could be found to buy the Hall and so it was demolished for a housing estate in 1934.